– Continue boot process and select “Run Ubuntu in low graphics mode for just one session” from the dialog window that should appear on the screen. Ubuntu will load with low graphic resolution using standard VGA driver. 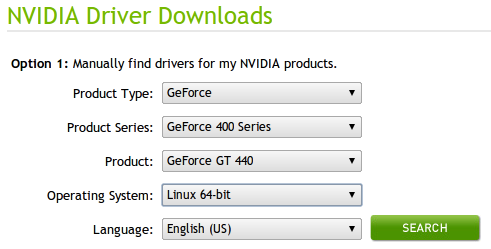 – Go to NVIDIA dowloads page and download the latest driver for you graphics card. Do not forget select Linux 32 or 64 bit (what you really have) as your operating system. NVIDIA’s site selects Windows OS by default. – 1st time when I met with this scenario, that is just changed my video card, I followed instructions from this Ubuntu’s forum thread. That method worked for me and saved me a lot of time for investigation and searching for right decision. if you set execution permission for this file already. I’ve got an error message here about a file which is not the symbolic link and that I used other driver installation, e.g. from OS built-in packages, but script will try to make the best to uninstall it. And according to result it made its job correctly. 6) Would you like to run nvidia-xconfig utility to automatically update your X configuration file so the NVIDIA X driver will be used when you restat X? – Yes. 7) Installation complete – OK.
After next boot I got absolutely working system with max graphics resolution my monitor supports. Please share with us if tried it and it is enough just execute NVIDIA’s driver installation script from text terminal without any other preparations steps (e.g. uninstalling previously installed driver, changing black list, etc.) 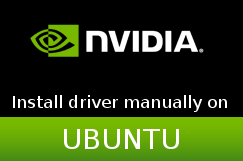 to install the latest NVIDIA graphics driver? I just checked it. After recent Linux kernel update from 2.6.32.34 to 2.6.32.35 I did nothing except boot with last kernel to console and run NVIDIA’s driver installation script. It was re-installed successfully without any troubles and I’ve got the working system again. 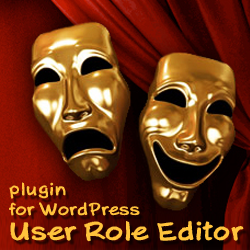 This entry was posted on Sunday, November 6th, 2011 at 04:13	and is filed under Linux, Ubuntu. You can follow any responses to this entry through the RSS 2.0 feed. You can skip to the end and leave a response. Pinging is currently not allowed.